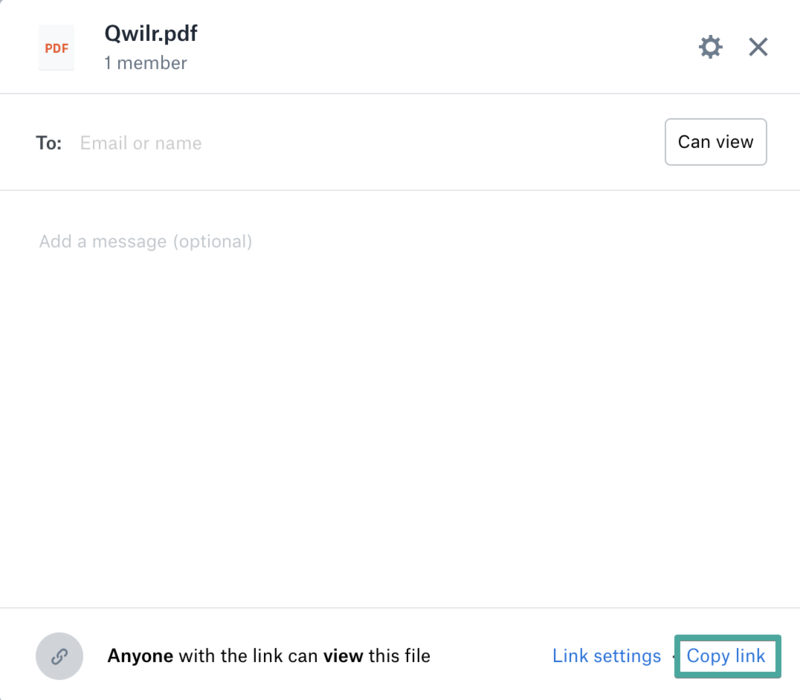 Embedding PDFs in your Qwilr Page are a nice way to provide your client with supporting documents without cluttering your proposal. There are a variety of ways to embed a PDF in a Qwilr webpage - all using the Embed Block. 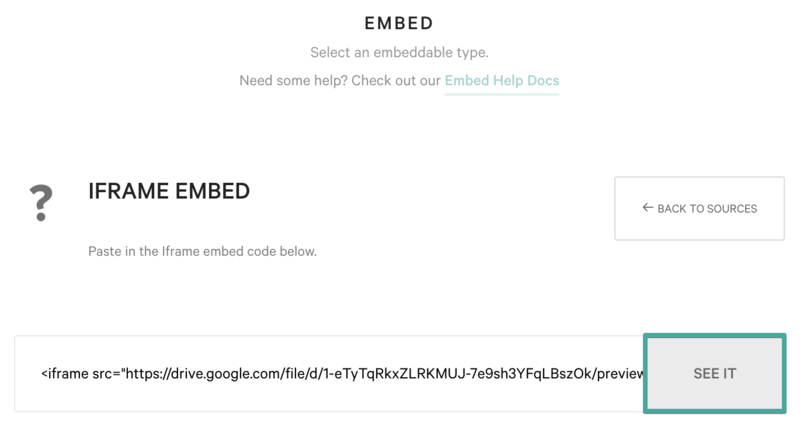 Note: To embed a PDF, it needs to be hosted on a file hosting service, like Google Drive, Dropbox, etc. Step 1. 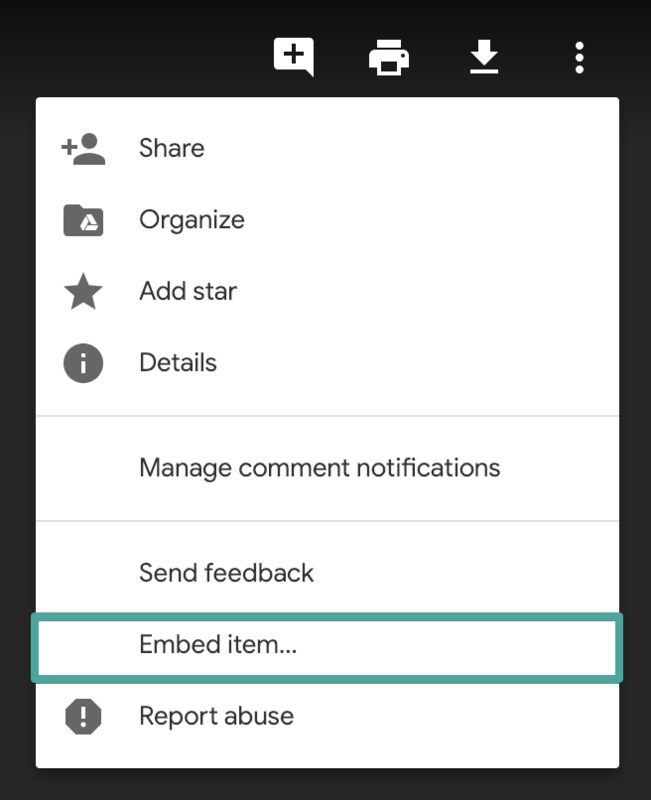 Create a new Embed Block by selecting the source icon from your content menu. Step 2. You should see a list of options. 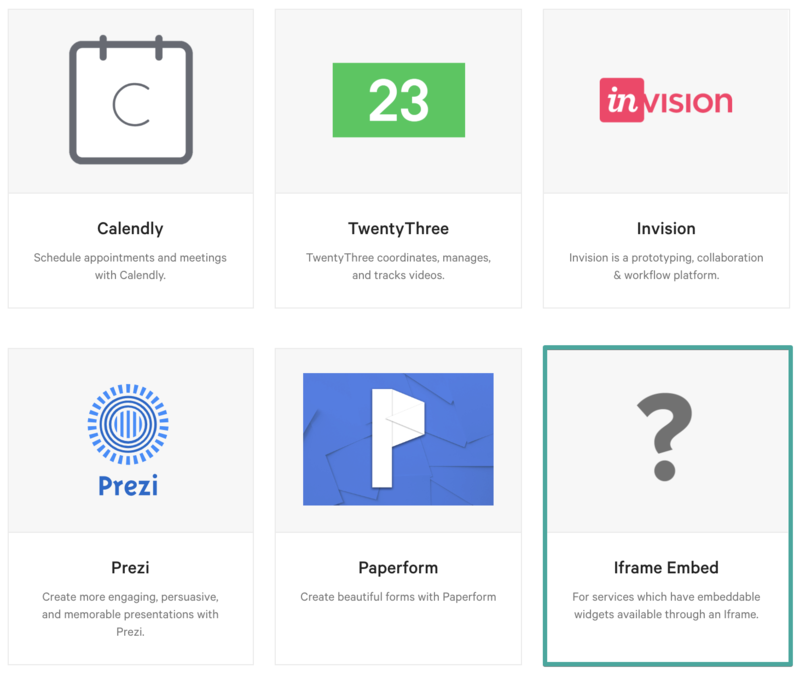 Select the Iframe Embed option at the bottom. From there you'll now have a field to add in your PDF URL. Step 1. Head over to Google Drive and open your PDF. Important: Make sure the file is publicly viewable. In Google, you can set the PDF to be viewable by anyone who has the link. Step 2. Preview the PDF first. 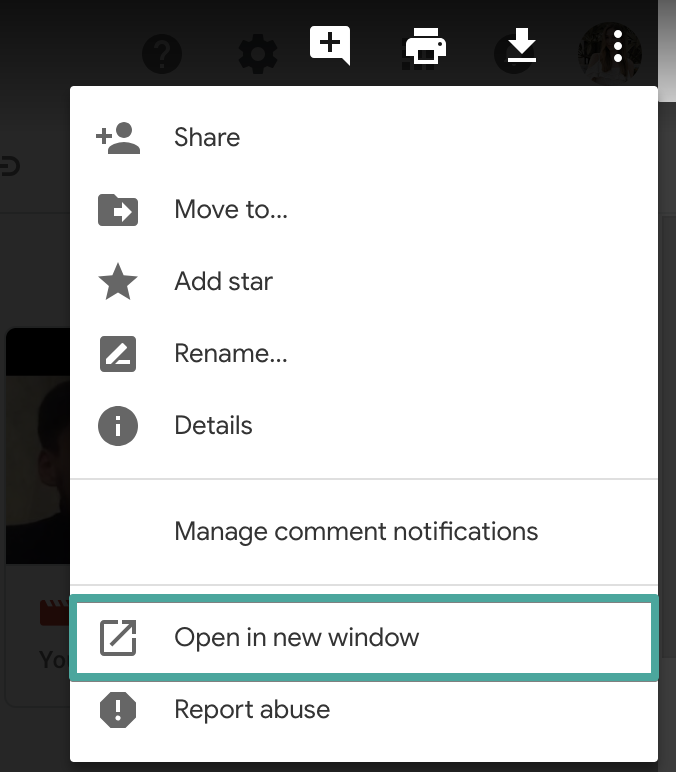 You'll do this by clicking on the More actions menu in the top right corner of the screen and selecting Open in new window. Step 3. When your PDF opens in a new window, click on the More actions menu again. This time, select Embed item. Step 4. 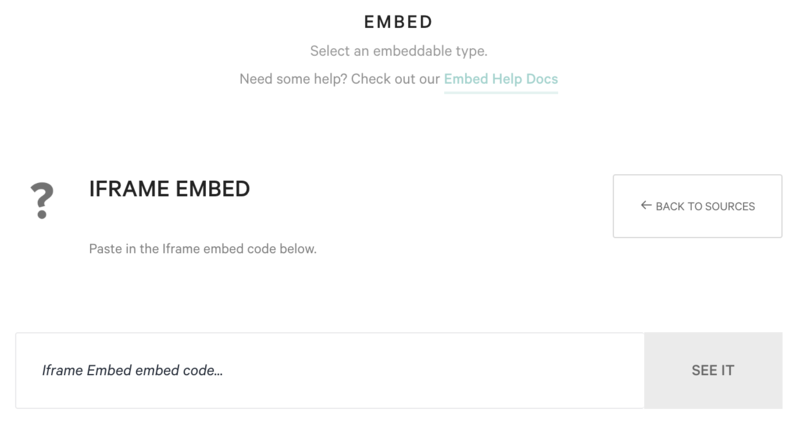 Copy the embed code. Step 5. Back to the Qwilr Page, paste the code into your Embed Block form, and press See It. That's it! 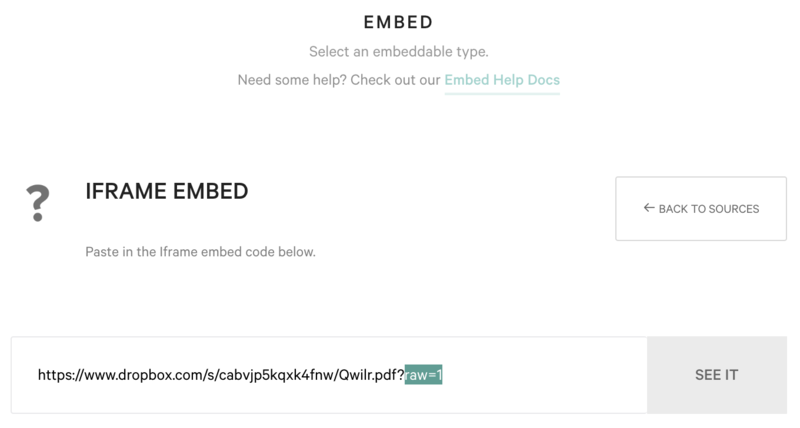 Your PDF is embedded. Step 1. Head over to the file you'd like to embed. Hover over it and click on the Share button. Important: Make sure the file is publicly viewable. You may need to put it into a Public folder. Step 3. Back to in the Qwilr Page, paste the link into the box replacing the ?dl=0 part with ?raw=1 instead . The click See it.